The primary focus of the Environmental Archaeology Program is research into the ancient relationship between people and their environments, including all aspects of that relationship, from the biotic to the abiotic, and from the physical to the symbolic. The Florida Museum EAP researchers specialize in the zooarchaeology of vertebrates and invertebrates, macrobotanical analysis particularly of charred and waterlogged plant remains and woods, and archaeopedology, the study of ancient soils from archaeological landscapes. 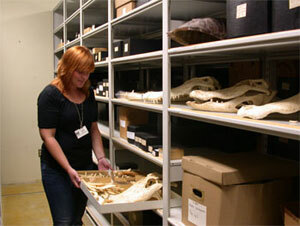 We also study modern specimens for comparative and experimental data. When possible, our projects combine the three components of environmental archaeology to provide a holistic interpretation of ancient environments and cultures. Examples include Lake Munroe, Florida, St. Catherines Island, Georgia, and the Guatemalan site of Motul de San Jose. The Environmental Archaeology Program faculty and staff conduct research primarily in the southeastern United States, the Caribbean, Mexico and Central America, and northwestern South America. Our research is multidisciplinary and international in approach. We have a strong history of collaboration with scientists in natural history, archaeology, and environmental archaeology. Our work is funded by grants, contracts, and private donations. We strive to publish our results in peer review journals and leading technical and public formats. 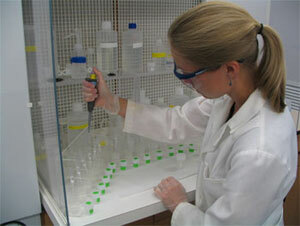 Student researchers gain valuable experience by working with us. We ensure that our research is within the regional and chronological considerations of the Florida Museum and the Environmental Archaeology team and furthers the research goals of the EA Program either directly or through the accumulation of baseline data. Baseline data is used ensure complete regional coverage and to develop foundations for future research in new areas. In view of our collaborative, interdisciplinary, and integrative work, it is essential that we recognize the importance of acquisition of both data and physical objects. Our policies for EA Program intellectual property ownership and use are based on UF and Florida Museum policy, and on the specific requirements of EA Program research. Prehistoric research including analyses of plant remains from sites in the Everglades National Park: changing plant use through time and across microhabitats, analysis of Weeden Island period (@ A.D. 300-900) plant remains, and continued analysis of Florida’s prehistoric dugout canoes. Rehabilitation curation and analysis of both wet and dry collections from St. Catherines Island, Georgia. These date to some of the earliest Native American sites on the southeastern Atlantic coast to the famous Spanish Mission site of Santa Catalina de Guale. In the Maya world, mapping associations between settlements and ancient agricultural products using phosphates and soil isotopes. Determining the original shape of Archaic shell rings in NE Florida, the source of sand that buried an early coastal site in the Turks and Caicos Islands, and post-depositional changes in midden deposits on Water Island in the U.S. Virgin Islands. 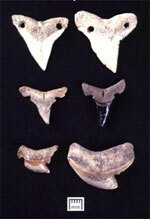 Oxygen-18 isotope ratios from archaeological hard shelled clams and coquina shells in the SE USA and deer bones and teeth in Mesoamerica as indicators of climate change. 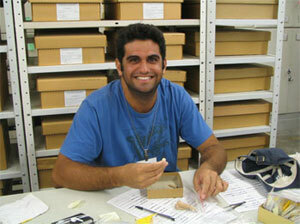 The EA Program also emphasizes direct research on the modern and archaeological collections. These collections represent a valuable resource for understanding ancient and modern populations and communities, and are far more than a simple analytical tool. In particular, research by Wing over the past 40 years has emphasized gathering specific specimen and environmental data for all modern comparative specimens acquired by the EA Program. Zooarchaeological data on bone, meat, and body weights has allowed the development of formulae for correctly calculating meat contributions based on the archaeological recovery of bony elements. Likewise, Wing has emphasized the importance of allometry as a metric equivalency between element and body size that can be useful for zooarchaeologists. This study requires detailed osteometrics on specific skeletal elements for certain taxa. Standardized data collection methods and techniques have been developed to ensure that this important information is collected each time a specimen enters the collection. A second type of EA Program collection-based research is more specifically directed at the development of excellence in basic analytical techniques and tests the efficacy of various archaeological sampling methods and recovery strategies. Fine-gauge sieving has become a standard requirement for zooarchaeological and archaeobotanical analyses, and yet it is still not practiced by all archaeologists. Wing and Quitmyer began generating zooarchaeological data on the utility of this type of sampling years ago and all zooarchaeological analyses in the EA Program continue to gather that data to provide a compelling argument to the archaeologists. 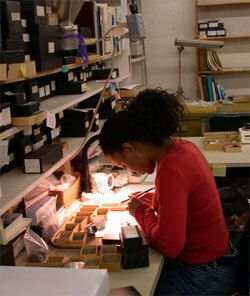 Emery and her students continue this research on Mesoamerican archaeological assemblages. As well, over the past decade, Ruhl has compiled archaeobotanical information to evaluate the efficacy of plant recovery strategies at Florida sites by comparing edaphic and other environmental conditions, sample volume, and processing methods with the plant data generated. A third category of collection-based research carried out in the EA Program lab augments the archaeological studies and also provides data to other disciplines. 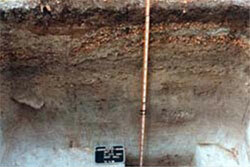 Scudder’s analyzed midden soils have provided archaeologically dated, high-phosphorus samples to soil scientists working on the synthesis and survival of phosphorus compounds in natural soils. On-going research by Quitmyer on invertebrate seasonality through annual collection, sectioning, and isotopic testing of modern marine bivalves (sclerochronology) provides important climatological data. 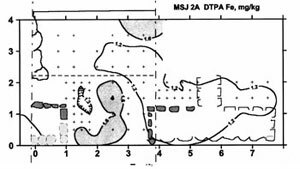 Quitmyer’s work (with Franz) on gopher tortoises of the southeastern US added the Holocene gopher tortoise record to that available from the paleontological record, allowing allometric modeling of ancient gopher tortoise body size. Emery’s work on regional distributions of tropical fauna of the Maya forest traces the impact of hunting pressure and habitat change over 4000 years and provides baseline data to conservation biologists working in the area. The Florida Museum is a research college within the University of Florida, and its faculty teaches within the various UF departments as a service to the University. Our mission is to interpret our natural and cultural heritage include disseminating that knowledge to the undergraduates and graduate students of UF and other institutions. 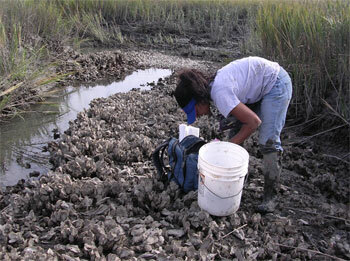 The Environmental Archaeology Program faculty and staff teach both University of Florida and other students in a variety of ways. 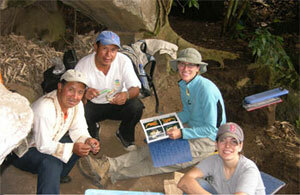 We provide a variety of formal courses primarily through the Department of Anthropology of the UF. Zooarchaeology has been taught in the past by Wing, Walker (South Florida Collection Manager and EA Program Affiliate Scientist), and deFrance (Affiliate Associate Curator, EA Program and Associate Professor, UF) and continues to be taught by deFrance (Introduction and Advanced Zooarchaeology) and Emery (Maya and Central American Zooarchaeology). Emery also teaches Environmental Archaeology (a methods course) and Lessons from Ancient Environments (a discussion course) on environmental archaeology. Dr. Emery also accepts graduate students from various UF departments, guides them in their research and incorporates them into ongoing research, and acts as committee chair or member. She also works with graduate students from other institutions, guides them in their research, and acts on their committees if requested. Learn more about our current graduate students and their research. Both undergraduates and graduate students are also welcomed into the EA Program as interns taking independent study classes Emery and EA staff or in paid positions as Federal College Work Study employees or student employees. Any interested student or non-student is welcomed as a volunteer. These are valuable research opportunities contribute to a broad educational experience. Education is not limited to college students and our role as educators is not bounded by the UF campus. Ancient environments can provide important lessons on appropriate strategies for sustainable living, and part of our role is the dissemination of these lessons to the public. As part of this role we show the collections to visitors and reporters, and participate in high school education through, for example, the future Scientist Program (Center for Precollegiate Education and Training). 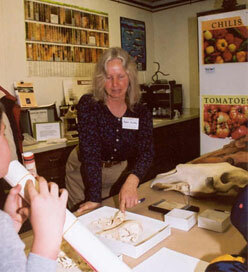 We also assist in the development of exhibits and programs at the Powell Hall Exhibit Center and elsewhere on campus, maintain an active webpage that incorporates information about environmental archaeology, the EA Program research, and the Florida Museum programs, and provide public lectures to local schools and various professional and avocational organizations. 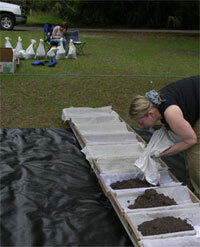 The Environmental Archaeology Program provides a variety of services to the Florida Museum, University of Florida, as well as State, National, and International organizations and research institutions of all types. The primary service categories for our work include Contract services (for governmental research and private organizations and companies), and professional activities (including service to the Museum, academic professional organizations, and non-academic professional organizations). Research contracts are particularly valuable for Environmental Archaeology Program research and as a source of funding to support the needs of the laboratory, and educate the next generation of scientist. 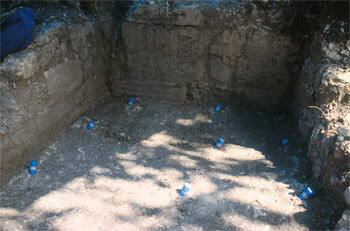 The EAP provides identification and analysis of archaeological animals, plants, and soils through contracts to private consulting firms, and county, state, and federal agencies involved in environmental and archaeological impact assessment, as well as to educational, avocational, and private organizations. The EA Program faculty and staff donate considerable time and effort to various academic professional organizations. Wing organized several conferences and acted in important roles in ICAZ, the Society for Ethnobiology and other environmental archaeology societies. Emery continues this tradition serving as committee board member of the Society of Ethnobiology, various committee member roles with the SAA (Conference Organizing Committee, Archaeoinformatics Advisory Board, and the Dienje Kenyon Granting Committee), editorship for the Journal of Ethnobiology (2006 to present), Quaternary International (2007), and Archaeozoology (2004). Staff members also provide academic service.